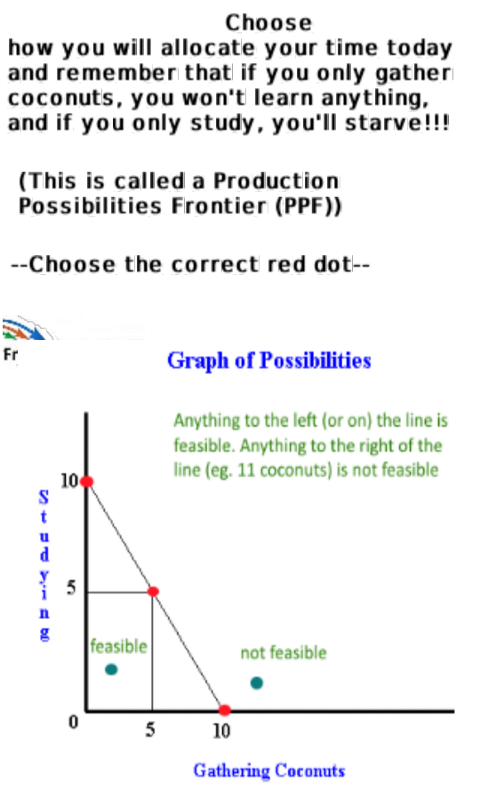 Games for learning economics - FreeEconHelp.com, Learning Economics... Solved! Economics island is a short "choose your own adventure" or "point and click adventure" type game that begins with you being stranded on an island. As you progress through time, you gather resources ultimately planning your escape. Along the way you learn about opportunity cost, PPFs, and other introductory vocabulary (typically good for the first 2 or 3 chapters in a standard text book). 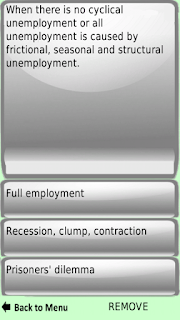 The game allows you to experience the economic principles firsthand, generally before you are introduced to the terminology. It is recommended as study guide, or perhaps for those who REALLY need to learn the material but are having a hard time with dry textbooks. There is also a bit of challenge to the game, in trying to leverage your economic knowledge into completing the game faster. The quicker you pick up the principles and use them, the higher the score you can attain. This game is available for play at Newgrounds.com at the above link, and available via google play: Economics Island App. 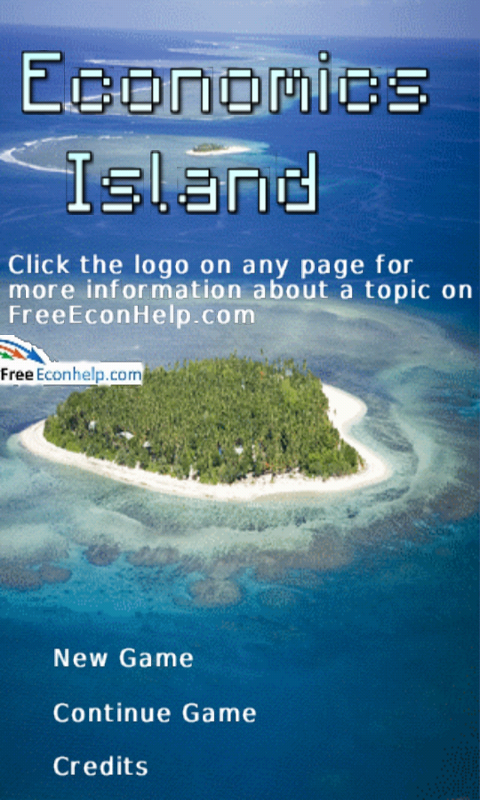 Amazon users can download the game on Amazon at: Economics Island Amazon App. 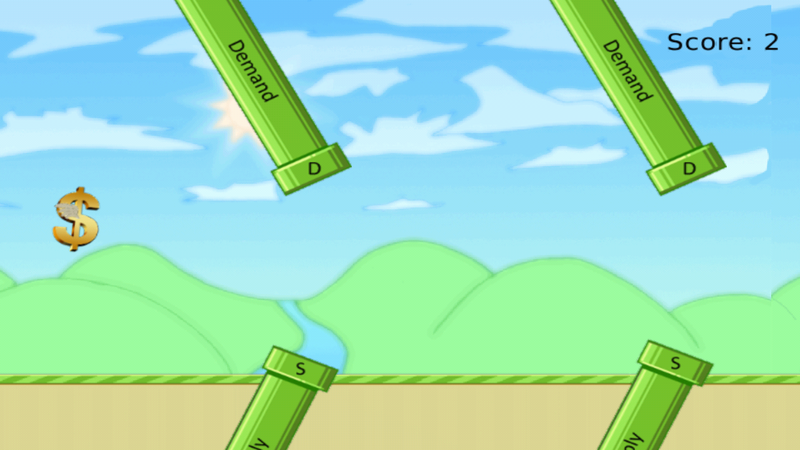 Flappy economics is a flappy bird clone that teaches players about supply and demand, their determinants, and introduces externalities, taxes, and deadweight loss. You can purchase upgrades along the way to help increase the probability of good events occurring and making the game easier. You can eventually unlock lessons about surplus and other items that typically cover the multiple chapters in the standard microeconomics textbook (supply and demand/externalities/government intervention). This game is available at Newgrounds at the above link, and available via google play: Flappy Economics App. Amazon users can download the game on Amazon at: Flappy Economics Amazon App. 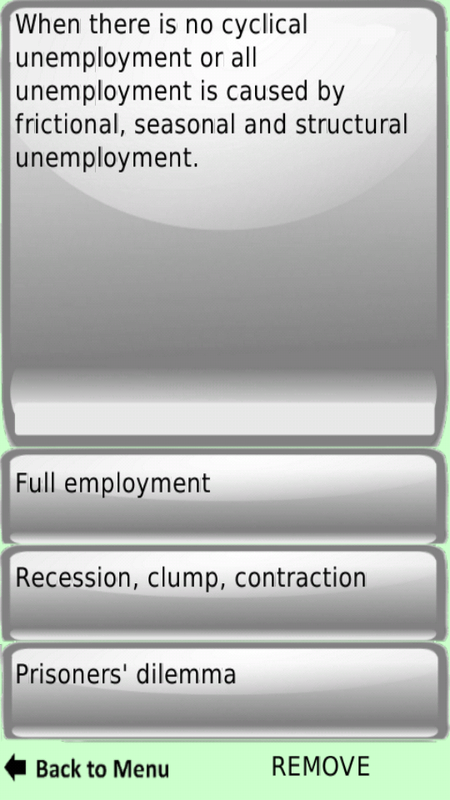 Economics Flashcards utilizes the glossary available on this site into a flashcard format. It includes over 540 economics vocabulary words available one by one similar to a flashcard, or in a quiz format where you are given the definition and three choices to choose from. You have the option to remove words that you don't think you will need, and if you accidentally remove too many or move on to new concepts in your class you can reset the list to use them all. We are currently working on ways to add a list feature, and add words to a special study list, but this is taking time. We are able to add words that you think are missing, and will work to correct any mistakes or bugs that you find. 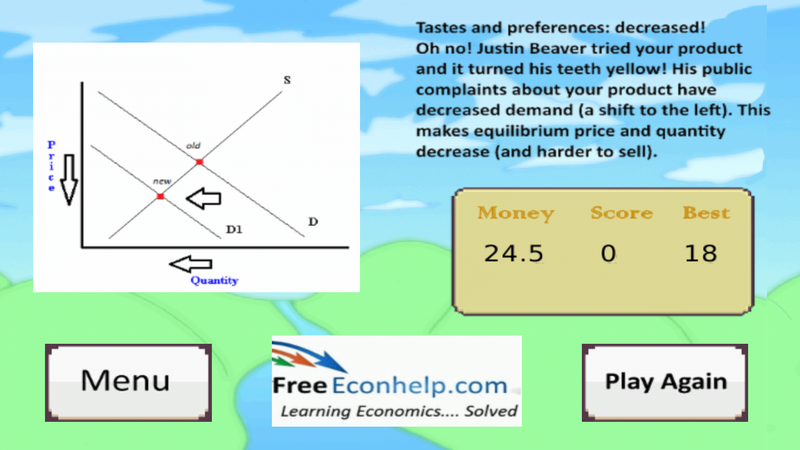 You can play a web version of the app by clicking the link above, and it is also available via good play: Economics Flashcards. 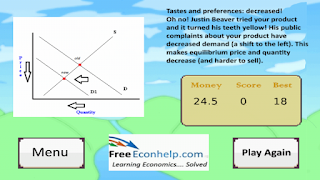 Amazon users can download the game on Amazon at: Economics Flashcards for Amazon. wow!That is so so cool,That is such a fun way to learn.I am also an economics student,Thank God i came across with your post. Wanna check on your children or spouse during the workday? Learn how to track a cell phone location without them knowing and do it!